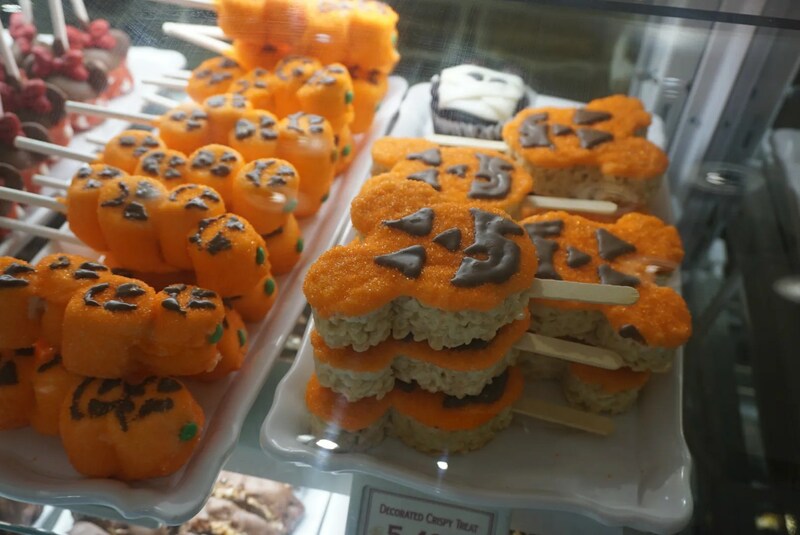 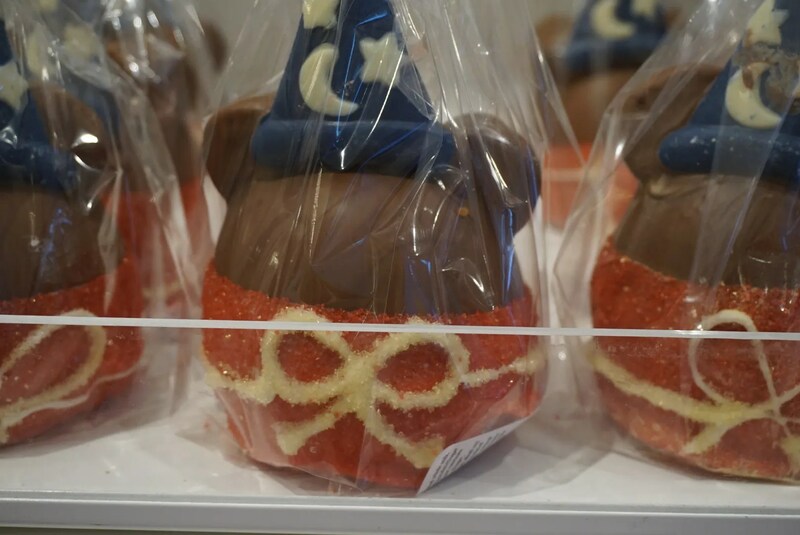 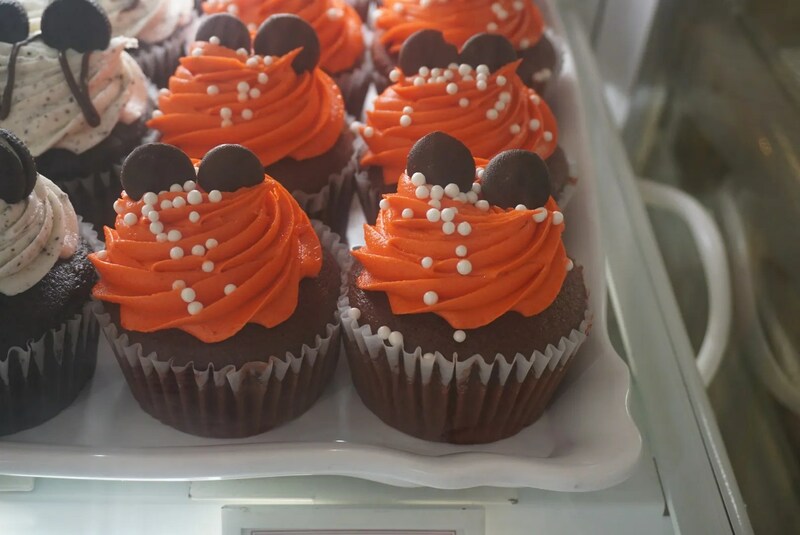 This being November 2nd (with the last Mickey’s Not So Scary Halloween Party being held the night before) and Magic Kingdom having been transformed overnight from Halloween to Christmas, I wasn’t really sure what I would see on display inside the Main Street Confectionery. 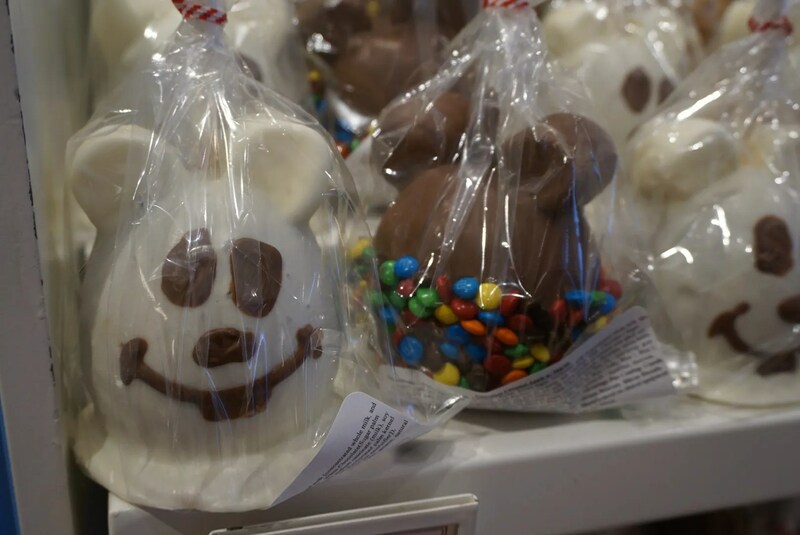 I was really tempted by the cute chocolate Mickey Santa one, but spotted something else that was even more tempting. 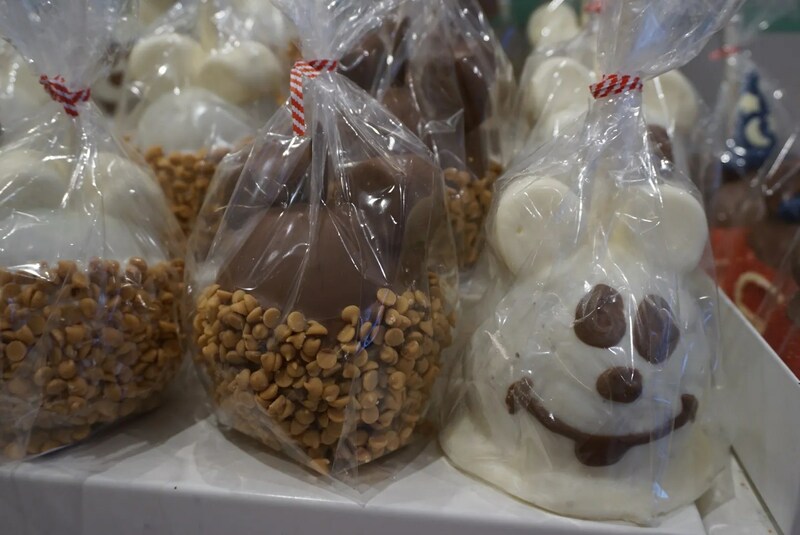 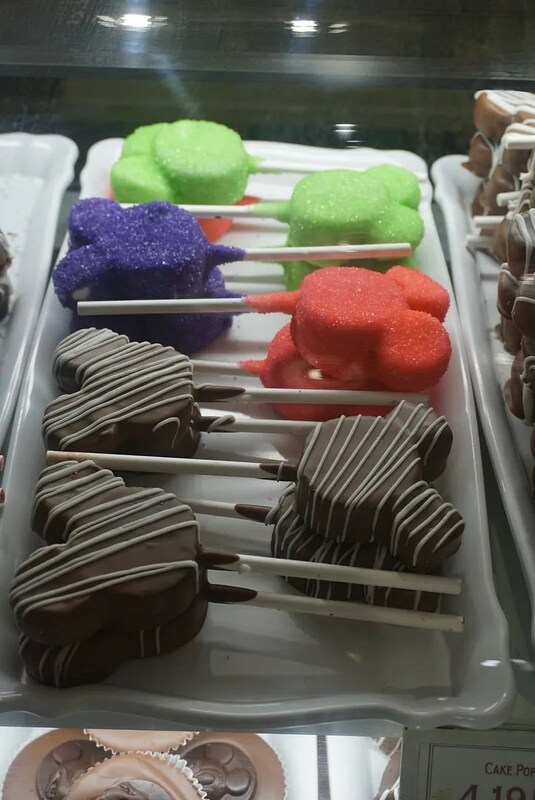 I failed to write down the prices for the caramel apples in my notes but I think they were either $9.99 or $10.99, so not available for a Snack Credit. 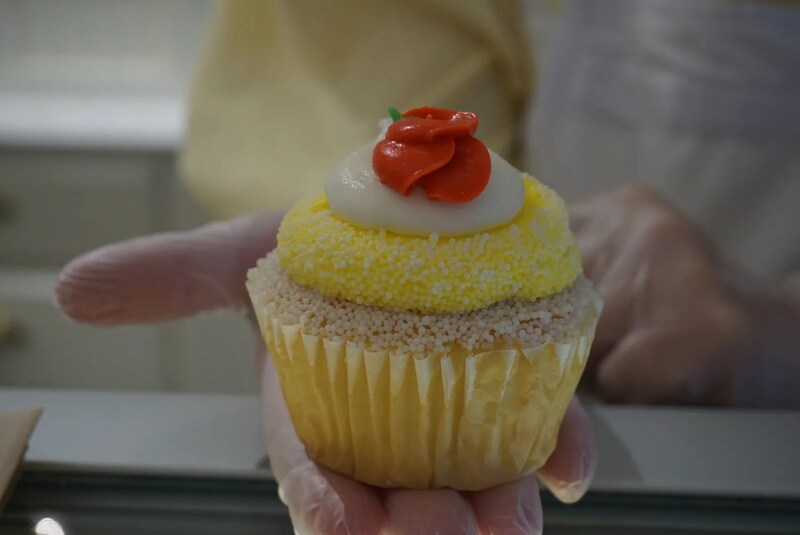 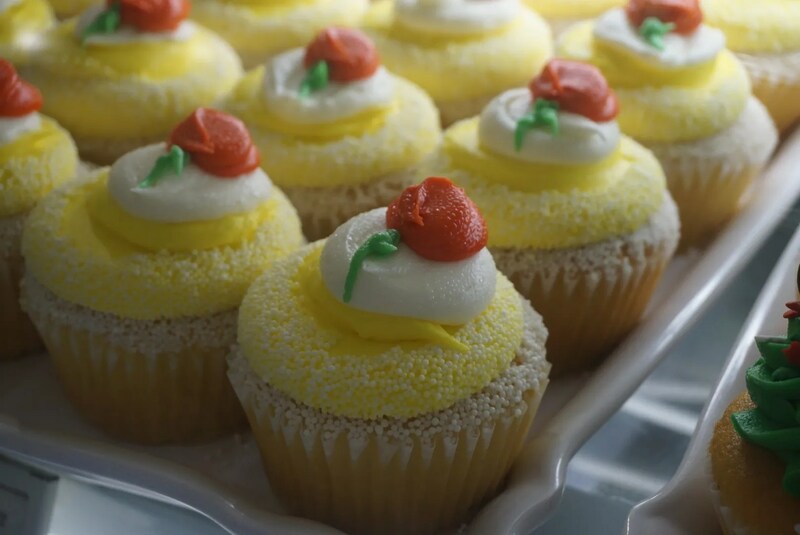 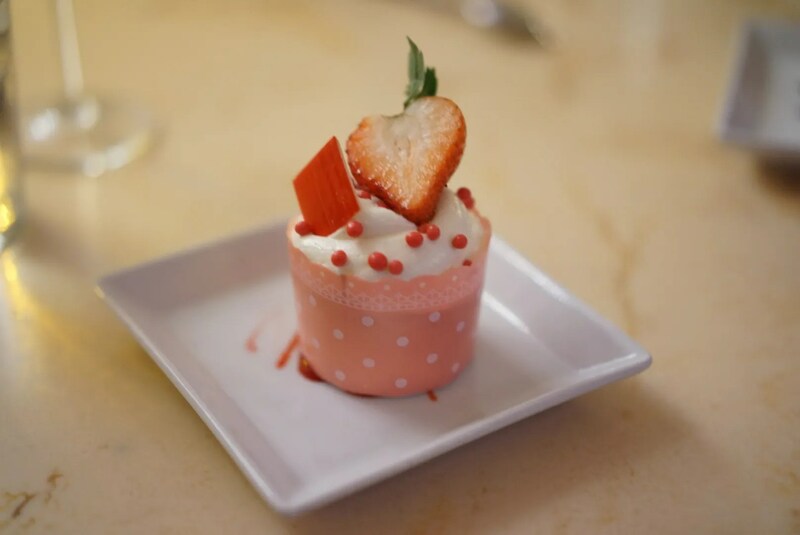 This is the Strawberry Cream Cheese Cupcake (Vanilla Sponge Cake, Strawberry Mousse Filling and Cream Cheese Icing) from Be our Guest, the Beauty & the Beast-themed restaurant at Magic Kingdom. 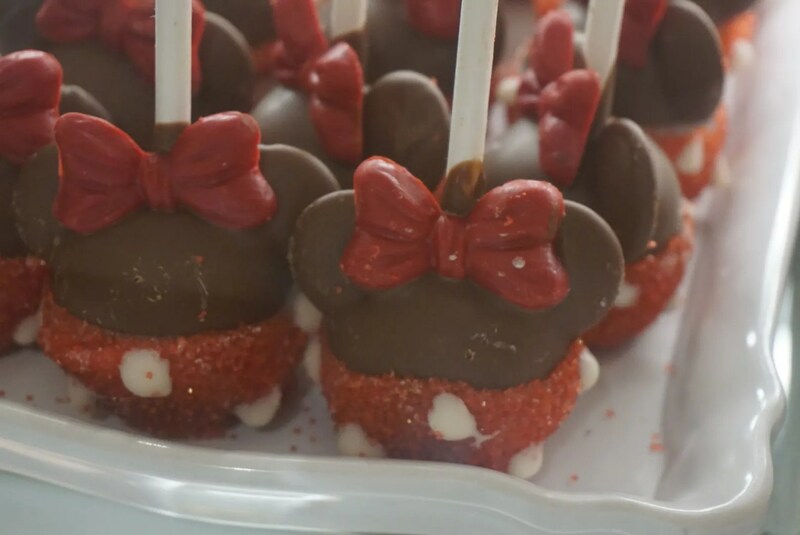 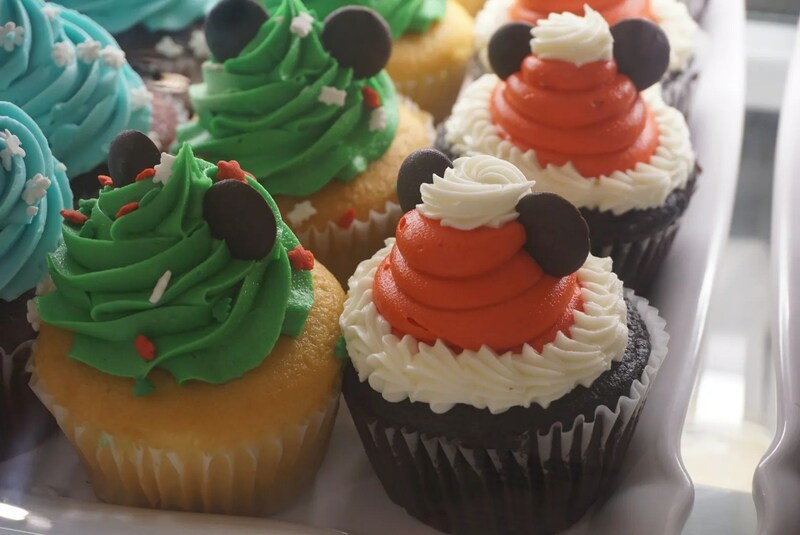 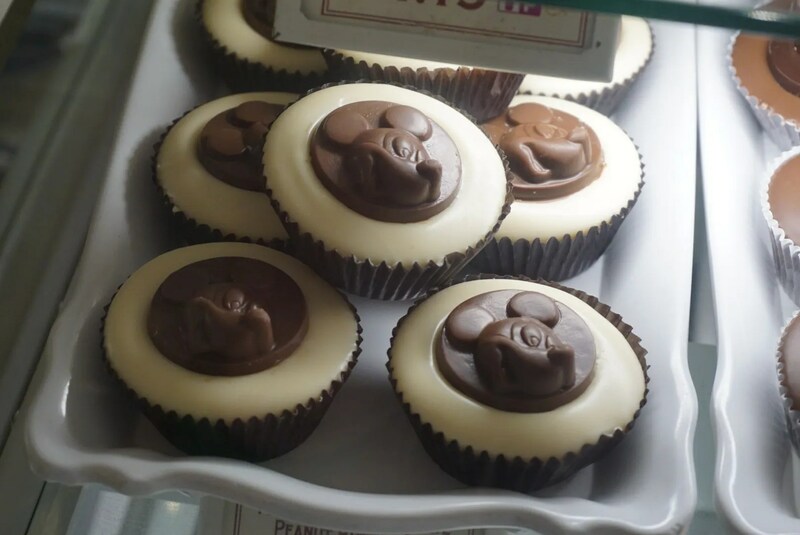 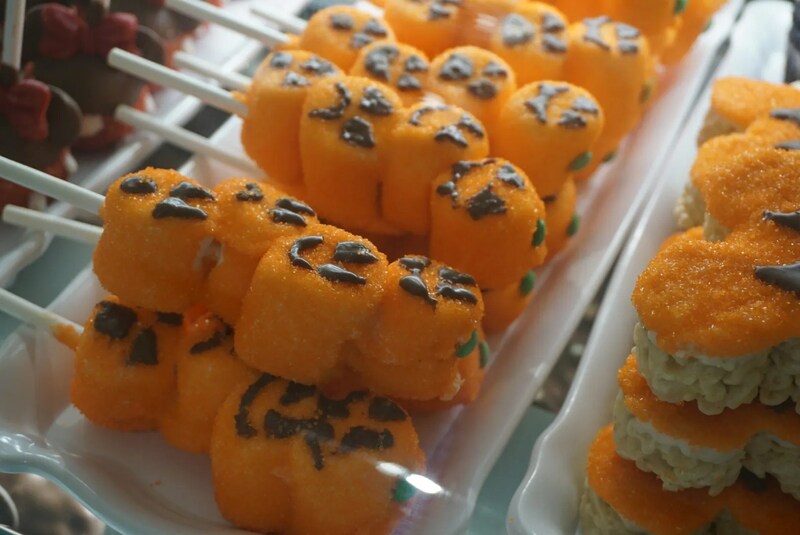 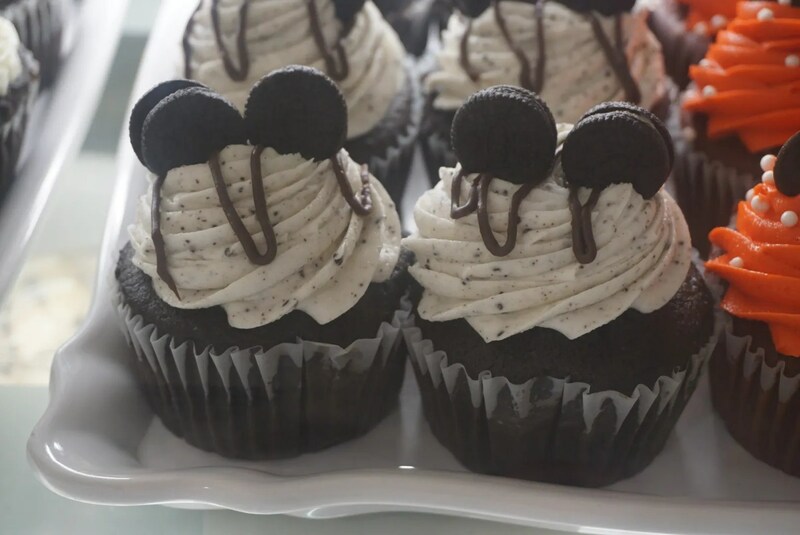 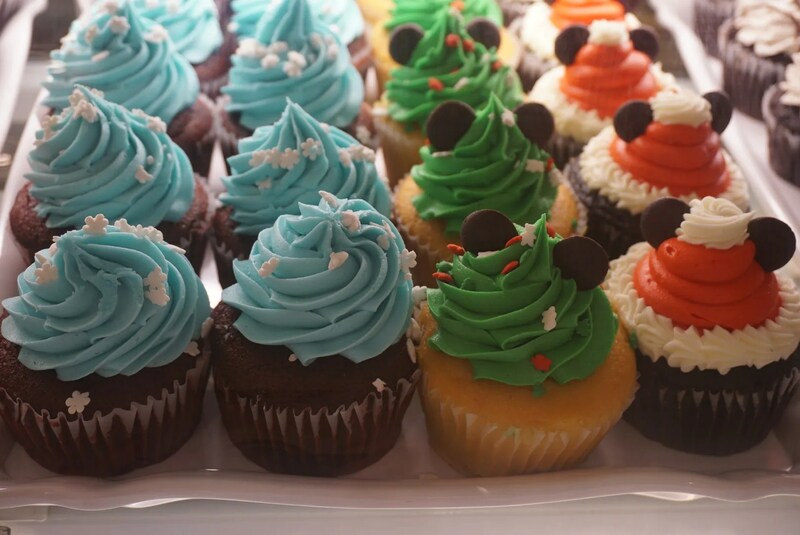 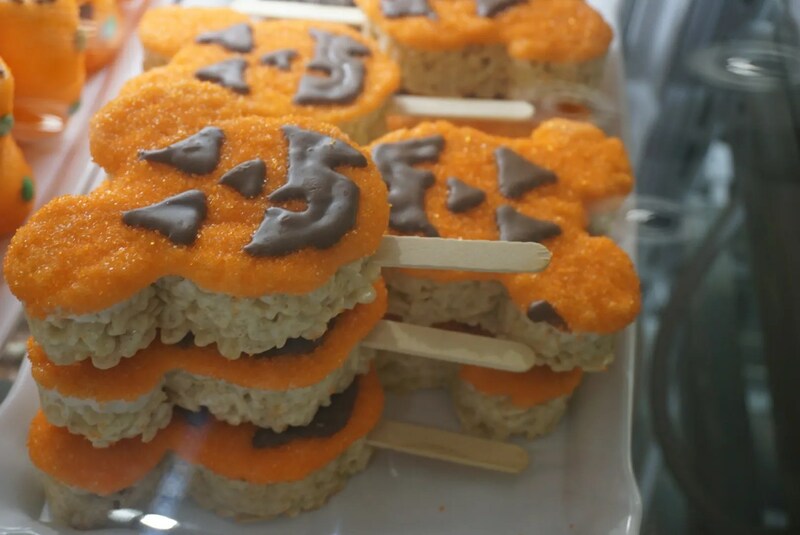 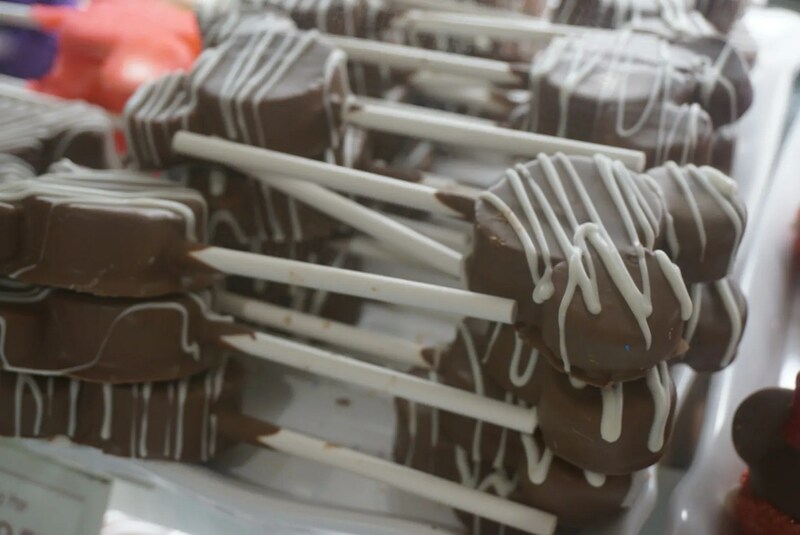 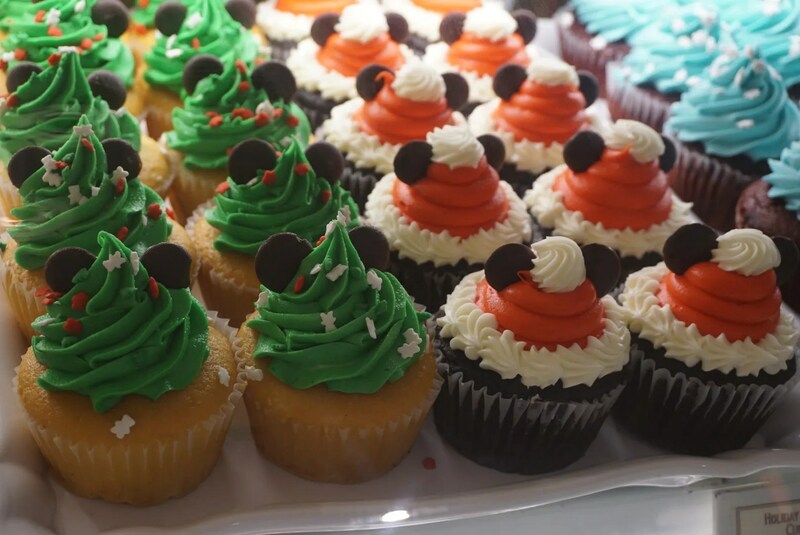 Unfortunately though, you have to have either lunch or dinner at Be our Guest in order to have one of these.